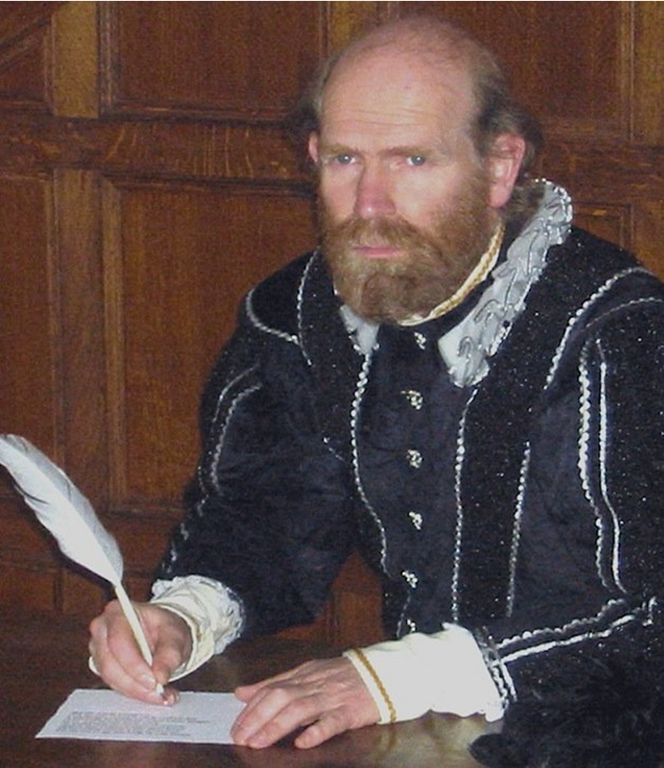 If you are not a regular reader of Stephen’s blog, Timothy Linick (pictured) of Arizona was one of the signatories of the Nature report on the dating of the Shroud of Turin. Stephen Jones blames Linick along with the KGB for hacking computers connected to AMS equipment in Oxford, Zurich and Arizona and thus faking a medieval date for the shroud. The problem is that it may only be a matter of time before we read in the media that people who think the shroud is authentic believe that the carbon dating of the shroud was hacked by computer hackers. All too many people think that the members of the press pay attention to academic credentials, read peer reviewed journals and even check out citations in technical papers. They do not. They take the quickest approach when faced with constant deadlines. They go to the web. They go to Wikipedia. They go to top listed websites and blogs. Thankfully, Wikipedia has a strict policy against publishing original thinking; all material must be attributable to reliable, published sources. Wikipedia does not want original research (a matter of no small consternation to shroud researcher Colin Berry in his [m]essage to wikipedia: do stop taking yourself so seriously). They don’t want his theories in their encyclopedia. But, I digress. Today, according to the Alexa’s web rating service, Stephen Jone’s Shroud of Turin blog is the most popular blog dedicated to the shroud (but Google ranks it second to this blog). If you ignore the distinction that it is only a blog, it is the third most popular website dedicated to information about the shroud. The top four in order, so says Alexa, are 1) sindone.org, 2) shroud.com, 3) Stephen’s blog, 4) this blog. Google has different ideas. It includes John Jackson’s site and Charles Freeman’s it-is-a-painting article in History Today in the ranks of the top ten go-to sites about the shroud. And of course Stephen’s blog, with his really wild and wooly conspiracy theory about the carbon dating being hacked, is also being listed as a go-to site. (Your mileage may vary; Google is like that). It was an email, yesterday, from Stephen Jones that prompted me to write this posting. Apparently, when Stephen previously posted a Wikipedia definition of conspiracy theory he omitted the part of the definition that said that “belief in conspiracy theories can be rational and that the skepticism of conspiracy theorising (the generation of conspiracy theories) is akin to a modern day superstition.” He wanted me to know that. Oh, well! So much for Wikipedia definitions. But then again this is not original thinking for I see that it is attributable to some really good sounding Oxford-ish and Cambridge-ish sources (I didn’t read the citations). The big deal is that maybe Stephen Jones is finally realizing that his speculation is really conspiracy theory. Now if he would only issue a warning to that effect. Here are some highlights of his latest well-read posting (the bold emphasis is not mine). If you are not a regular reader of Stephen’s blog, Timothy Linick of Arizona was one of the signatories of the Nature report on the dating of the Shroud of Turin. Stephen Jones blames Linick along with the KGB for hacking computers connected to AMS equipment in Oxford, Zurich and Arizona and thus faking a medieval date for the shroud. 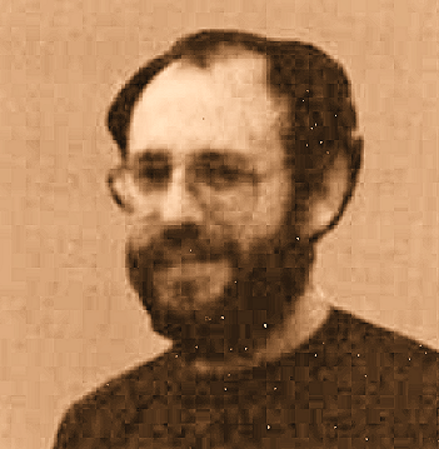 Karl Koch as a computer hacker in the 1980s who may have been involved in espionage. • The Soviet Union was on the verge of collapse in the 1980s. • A first century radiocarbon date of the Shroud would have been a threat to the atheist USSR. The Soviet Union was an atheist State. Yet, despite its attempts to eradicate religion since the 1917 revolution, the USSR continued to have a large Christian population. In the 1980s, three Christian denominations alone, had a total of about 56.5 million adherents…. So a first-century radiocarbon date of the Shroud of Turin would have been perceived as a huge threat by the embattled Soviet leadership. • If Timothy W. Linick had offered the Soviets a 14th century carbon-date of the Shroud they would have accepted it. So if Arizona radiocarbon dating laboratory physicist, Timothy W. Linick (see #10(7)) had approached the Soviet Union (through for example the Soviet consulate in San Francisco…. • Linick was found dead of suspected suicide on 4 June 1989 … in Tucson, Arizona…. • Koch had been murdered by the KGB (or East Germany’s Stasi on the KGB’s behalf) between 23 and 30 May 1989, …. • Koch and Linick were allegedly killed by the KGB to prevent them confessing the Soviets Union’s hacking of the Shroud’s radiocarbon dating. […] With the publication of the Nature paper of 16 February 1989, which claimed that the Shroud was "mediaeval … 1260-1390", Koch would (according to my theory) have realised what his hacking into the Oxford and Zurich university computers and running a program on them had done, as he had since "embrace[d] … conventional religion" . That Koch had started to talk about his hacking for the USSR of the Shroud’s radiocarbon dating is supported by his fellow hacker Pengo (Hans Hübner), complaining that Koch was "talking of nothing but conspiracies and [was] having religious hallucinations". Oh, yes. Lot’s of citations. Citations, whatever they are, look good at the bottom of webpages. Maybe Stephen’s conspiracy theory will get into Wikipedia. Maybe it will get into the press if there are any column inches left over after the journalists tell us that Charles Freeman’s thinks that the shroud was a painting. But remember, the press won’t say the computer dating was hacked, only that that is what those whacky shroudies think. His shoes have never been found. So how do we know it was Koch? 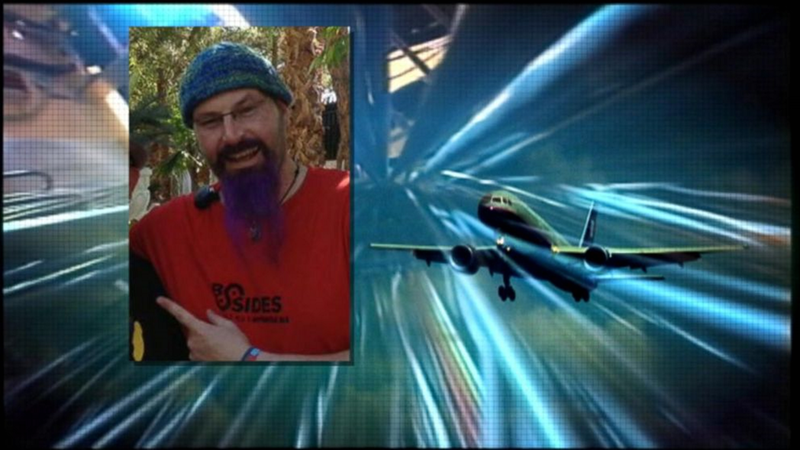 If you add a few years, a beard and a stocking cap you can plainly see that Koch is probably Chris Roberts who was arrested yesterday for hacking the inflight entertainment system of a flight he was on and supposedly issuing a command to one of the planes’ engines. Have you read Jones’s latest posting? It is more off the wall. If it turned out that Koch could not possibly have been involved, either directly or indirectly, in installing Linick’s program on Zurich and Oxford laboratories’ AMS control console computers, then my theory would not be falsified. In that case I would have to maintain that Linick’s program was installed on those laboratories’ computers by some other way. For example, Linick himself could have flown over to Zurich and Oxford, installed his program clandestinely on their computers, and returned to Arizona, in a few days. This is why my theory always has been "that the radiocarbon dating laboratories were duped by a computer hacker" (singular). I have included Karl Koch in my theory, despite there being as yet no confirmed link between Koch and Linick, because of: 1) the striking coincidence that both Koch and Linick died of suspected suicide within days of each other … 2) Koch’s death was almost certainly the work of the KGB, or the East German Secret Police (Stasi) at the behest of the KGB; 3) the KGB had no reason to kill Koch unless he had been involved in an entirely different type of hacking for them which they did not want to become public knowledge; 4) Koch’s expertise would have been useful in hacking into Zurich and Oxford’s AMS computers; and 5) Koch’s living in Germany would have made it comparatively easy for him to travel to Zurich and Oxford to install Linick’s program on their computers (although that too is not necessary to my theory as Koch may have only provided expert advice on how to hack into those computers and a KGB operative may have entered the laboratories clandestinely and installed Linick’s program on their AMS computers, or Linick himself may have installed it). So those who continue to dismiss my theory as merely a "conspiracy theory," in the full knowledge of my above disclaimers, do so dishonestly. What else would you call it? This is the epitome of conspiracy theory. January, 2015 – Oshawa: A unique TED-style and CNN news styled conference based on the popular TV hit, The Conspiracy Show, investigating the dramatic rise in conspiracy theories – from documented White House and Canadian government cover-ups around extraterrestrial visits on Earth to Bible secrets – is coming back to Oshawa, Canada on April 26, 2015. Follow the Truth2: The Conspiracy Show Special Report (FTT2) is covering a range of topics from the worldwide money system, JFK cover-ups, Psychic Spies, and the Holy Shroud of Turin, featuring internationally acclaimed speakers such as former Canadian Defence Minister Paul Hellyer. FTT2 is a sequal to the very successful Follow The Truth summit held in November, 2014. “The recent increase of interest and conversation around these conspiracies is reaching a tipping point in our culture and consciousness, indicating that a popular demand for the truth is on the way and unstoppable,” says Richard Syrett, host of conference, TV show and radio show. “People just want the truth and make no mistake, the movement had already begun,” Syrett said. Once considered an underground phenomenon, conspiracy theories are now going mainstream, appealing to all walks of life, thanks to the information revolution and an access and appetite to source documents, files and surveillance video, easily found online. “The idea is to take our popular format for the TV show, and give it a live audience and an interactive opportunity. I find that so many of my viewers and listeners have so many questions and ideas to share that we need to create the forum for that to happen,” Syrett said. The April 26 Special Presentaion in Oshawa will include an exclusive exhibit of an exact replica of the Holy Shroud of Turin for audience members to explore, investigate and limited opportunities to take photos. Future plans include the Follow The Truth tour to NYC, Miami, LA, New Orleans, Sydney Australia, and other key cities in 2015. And Being Nuclear Physicists They Did Not Know? and reinforce the majority anti-authenticity prejudice . . .
Stephen Jones has restarted his conspiracy theory machinations to convince everyone who might read his blog that the results of the carbon dating of the Shroud of Turin were manipulated by a computer hacker in Arizona who hacked the computers in Arizona, Oxford, and Zurich. And possibly with help from the KGB. How you say? Well . . .
A hacker with access to the AMS control console computer (as Timothy W. Linick did), could run a program which would intercept the output of the AMS radiocarbon dating program, en route to the computer’s screen and replace the Shroud’s first (or early due to contamination) century date with a date which, when calibrated, would be "1350 AD," for this very first run of carbon dating of the Shroud. Thereafter for Arizona and the other two laboratories the hacker’s program could replace the Shroud’s date with random dates within limits which, after calibration, displayed dates clustered around 1325 ±65. Finally the hacker’s program could automatically order its own deletion when the dating of the Shroud would have been completed (e.g. after 3 months), leaving no trace of its former existence. Following Dr. Jull and Prof. Ramsey’s clarification that the AMS system computer was never online at the their two laboratories (and therefore presumably also not at Zurich), the hacker, or hackers, would have had to insert a program, or modify the existing program, manually and locally in each of the three laboratories. . . .That makes it more likely that the KGB was involved. That is conspiracy theory 101. And because they were all nuclear physicists they did not realise how absurdly unlikely that date of 1350 was. Because since the Shroud is known to have existed from at least 1355, the flax would have had to have been harvested in 1350, retted under water for several months, spun into linen fibre, woven into a linen cloth, and then the image imprinted on the cloth, all within 5 years! Not to mention stitching and edging the cloth to match that which was found only at the first-century Jewish fortress of Masada (see "Linen sheet"]. "In 1532 the Shroud was being kept inside a silver casket stored in the Sainte Chapelle, Chambéry, when a fire nearly destroyed the building. The intense heat melted a corner of the casket, scorching the folded linen within, and producing the now familiar scorch marks on the Shroud. Since silver melts only at 960 degrees centigrade, the heat inside the casket must have been intense. In these circumstances moisture in the Shroud would turn to steam, probably at superheat, trapped in the folds and layers of the Shroud. Any contaminants on the cloth would be dissolved by the steam and forced not only into the weave and yarn, but also into the flax fibres’ very lumen and molecular structure. … contaminants would have become part of the chemistry of the flax fibres themselves and would be impossible to remove satisfactorily by surface actants and ultrasonic cleaning. More drastic treatments to destroy the contaminants would inevitably damage the flax fibres themselves". And being all nuclear physicists, they would probably have been unaware that in 1350 the Shroud was was owned by the most honourable knight in France, Geoffrey I de Charny (c. 1300-1356), "who "wore on his epaulettes the motto `honour conquers all’ … wrote deeply religious poetry … was chosen by France’s king to carry into battle his country’s most sacred banner, the Oriflamme of St Denis, an honour accorded only to the very worthiest of individuals … died a hero, defending his king with his own body in the … battle of Poitiers" and "fourteen years after his death he was duly accorded a hero’s tomb, at royal expense …". 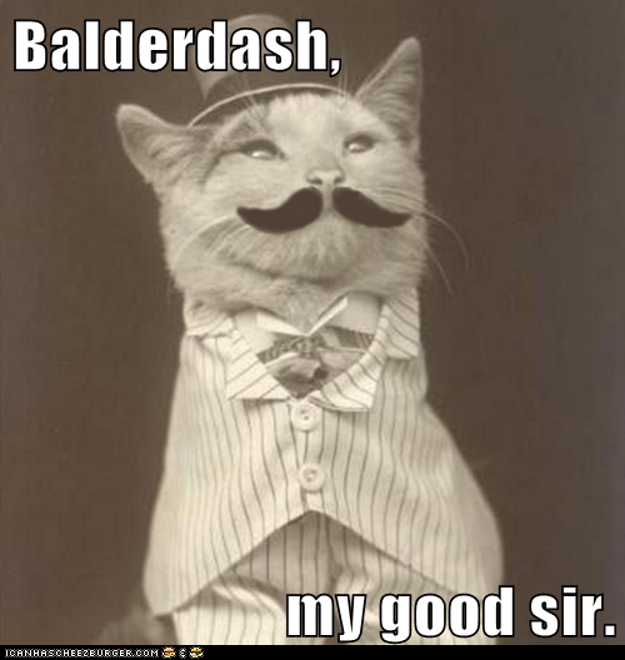 So "It is extremely difficult to understand how such a man would have lent his name … to … fraud". So the 1350 date must be wrong. But if a hacker wanted to break down the minority pro-authenticity resistance, and reinforce the majority anti-authenticity prejudice, and create a climate of expectation that subsequent datings would confirm that the Shroud was medieval, then 1350 was the date he would have used for that very first dating ! So the 1350 date must be wrong? If you want to get caught up on this, read Stephen’s part #1, part #2,part #3, part #4, part #5, part #6, part #7, part #8, part #9, #10(1), #10(2) and #10(3). 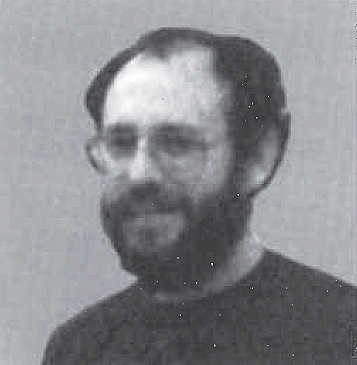 Picture is of Timothy W. Linick from a University of Arizona obituary. Clearly angry, Stephen Jones responds to comments by Hugh Farey, who is pictured here as the editor of BSTS Newsletter. 1) First read what Hugh wrote in Around the Internet in the newsletter. Hugh’s comments are correct. If you want to understand more about what Stephen is thinking, read all of his blog entries for April of this year although the above mentioned posting should be enough. If you want even more and want to see what I and others have been saying, read A String of “Jones” Postings in this blog. How Valid are the Vignon Markings? More on How Valid are the Vignon Markings? In my opinion the British Society for the Turin Shroud should remove the anti-authenticist Hugh Farey from being Editor of its Newsletter, or else he will use it as a vehicle to promote his anti-authenticism, as he is doing in this attack on me. The BSTS has always been open to having non-Christians in its membership, and even its leadership, like the late Rodney Hoare, a BSTS past Chairman, who believed the Shroud was authentic but that it shows that Jesus was taken down alive from the cross. But the BSTS has in the past rejected anti-authenticists like David Sox from having a leadership role. It is a contradiction, which I predict will prove fatal if it continues, having an ANTI-authenticist Editor of the British Society FOR the Turin Shroud! Stephen unfortunately sees the world in pro-authenticity and anti-authenticity terms; you are a good guy or a bad guy. you wear a white hat or a black hat. Whatever happened to being pro-truth whatever it may turn out to be? If the BSTS should be so foolish as to listen to Stephen it would have no credibility at all. So I for one do not believe that the Risen Lord Jesus, who sits at the Father’s right hand and controls everything (Mt 26:64; Mk 14:62; Lk 22:69; Acts 2:33, 5:31;7:55-56; Rom 8:34; Col 3:1; Heb 1:3; 10:12; 12:2; 1Pet 3:22) would allow such a convincing fake as the Shroud would then be, to exist. . . . I look forward to what the Lord has in store for us Shroud pro-authenticists in 2014? It is part 8. If you are interested CLICK HERE. He then presents no evidence that I can see; none whatsoever. By-the-way, what Linick program? So far, Stephen has only hinted at this. Well anyway, you can learn something about Karl Koch. And you can wonder why Stephen makes a splashing point that Koch is not essential to his theory. He’s got that right. Stephen is now trying to convince us that Timothy Linick, did indeed, hack the AMS computer consoles when the Shroud of Turin was carbon dated in order to fake the results and thus prove that the shroud was not the authentic burial cloth of Jesus of Nazareth. Linick was, Jones tells us, 1) an extreme anti-authenticist, 2) was the leaker of Arizona’s carbon dating results, 3) was found dead ‘under unclear circumstances’ within a day’s time of the death of a KGB agent named Karl Kock, 4) was involved in AMS measurements and 5) had sufficient time to prepare. None of these things, of course, may be true except the coincidental date of his death which is not evidence of any kind of connection whatsoever. And if there was any real truth to any of this, so what? Arizona’s Prof. Jull’s and Oxford’s Prof. Ramsey’s misleading and false responses to my hacking proposal A copy of a comment I made on Dan Porter’s blog, proposing that the radiocarbon dating laboratories may have been duped by a computer hacker (at that early stage I did not claim it was a theory) was sent without my permission to Prof. A.J. Timothy Jull, Director of the Arizona radiocarbon dating laboratory.and to Oxford’s Prof. Christopher Ramsey, by the anti-authenticist Editor of the BSTS Newsletter, Hugh Farey and then posted by Porter to his blog . Note to Stephen: If you comment on my blog, it is a public statement. Hugh Farey does not need your permission to send your comment to anyone. Note to Stephen #2: You are stating that professors Jull and Ramsey made misleading and false statements. I hope you can prove that. Note to Stephen #3: All of this is pure conspiracy theory of the worst kind.